With all of the fun opportunities and rush of tourists in nearby Miami, Fort Lauderdale, FL is an amazing place to live, work, and play for its residents. If you’re looking to make Fort Lauderdale your home or already live here and want to brag about your city, here’s 11 things that make this city awesome. 11. FT. LAUDERDALE IS ALL-AMERICAN. And they have an award to prove it. 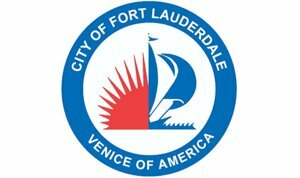 Fort Lauderdale was named a 2014 All American City by the National Civic League. This award is given to cities, counties, towns, neighborhoods, and metro areas for exemplary community-based problem solving and civic engagement that brings together public, private, and nonprofit entities. Fort Lauderdale has much to boast about in its more than 60 neighborhoods and communities. The city highlights efforts that brought together the community and local businesses to support students of Dillard Elementary School and the redevelopment of a downtown warehouse district into the artistic and cultural Flagler Village neighborhood. It is also known for the development of Northwest Gardens, an affordable and sustainable housing project in the city’s Northwest Community Redevelopment area. 10. HOUSE AND JOB: CHECK. According to the real estate site Auction.com, Ft. Lauderdale is among the top single-family housing markets through the past year. Despite the city being hit hard by the recession, it’s making a comeback with 1.3% growth in population in 2014 as well as single-family home sales continuing to show strength. Median sales prices grew 7.8% in the past year alone. Another reason Ft. Lauderdale was recognized was due to its employment rate, which has grown 4.2% in the past year and is among the fastest growing cities in larger U.S. metros. With more than 150 corporate and regional headquarters, which includes Fortune 500 companies such as AutoNation, Amerijet International, Inc., and Microsoft, it’s no surprise that the city has recovered all 100,000 jobs lost in the recession. The first thing you’ll be sure to notice is the weather. Year-round temperatures average at about 75.5°F and the city experiences nearly 250 sunny days each year, that’s roughly 3,000 hours of sunshine! Sure, there’s the occasional tropical storm, but most natives and long-time transplants know that anything less than a category 2 isn’t much to worry about. It’s also worth mentioning that you’ll see plenty of snowbirds in the winter, as retirees migrate from the cold northern states throughout the winter months. The city also used to host hundreds of thousands of college students on spring break due to it’s nightlife and beaches, but now you’re likely to only see a relatively small gathering each year. 8. EAT, DRINK, AND BE MERRY ALL NIGHT. While it doesn’t have as many spring-breakers, that’s not to say Ft. Lauderdale is without an excellent nightlife. Locals love places like Tap 42. Located near corner of SE 14th Street and S Andrews Avenue, Tap 42 is enjoyed for its environment, which has both indoor and outdoor space and refreshing craft beers. Try an order of the goat cheese stuffed peppadews for a snack or order any of their burgers to make it a meal. They are even open for brunch—and serve bottomless mimosas. If you’re looking for a place to enjoy some live music while dining out, check out the Original Fat Cat’s. This downtown bar and venue offers live music 7 days a week, a great selection of beers, and is even open until 4 a.m. Local patrons love it for it’s laid back atmosphere and friendly bar staff. 7. ENJOY FORT LAUDERDALE FAVORITES. Speaking of food, you need to go to Coconuts on Seabreeze Boulevard if you’re craving some great seafood. Order some Scooby Snacks—you won’t find them on the menu, but you’ll still be served some crab claws in garlic sauce. Locals also recommend favorites such as the conch fritters and a lobster roll. For those who love a good burger, visit Gilbert’s 17th Street Grill in Harbordale. The Gilbert family’s grill has been named the best burger in South Florida and Broward County a number of times in the past years, and offers unique options, such as the Godfather Burger with fresh mozzarella or the Pesto Burger made with cashews, sun-dried tomatoes, and pine nuts. For dinner and a show, visit Mai-Kai Restaurant & Polynesian Show. Enjoy Polynesian songs and dances while eating tasty meals such as the oysters rockafeller. The dancers wear traditional Polynesian garb and share the rich heritage through performance such as the Hawaiian Wedding Song or the Tahitian solo drum dance competition. Be sure to check out the Mai-Kai gardens ahead of the show, as they are a delight all on their own. 6. YOUR SWEET TOOTH WILL REJOICE. What’s dinner without dessert? With Yo Mama’s being opened until 2 a.m. on the weekends, you can cap off a late-night out with some delicious ice cream. This ice cream shop makes its ice cream daily right in the shop. Locals love flavors such as the cookie dough or buttered rum pecan with chocolate chips. You can also find one-of-a-kind flavors such as hot buttered popcorn, which we’ve heard tastes just like you’d imagine. Speaking of popcorn, Yo Mama’s also has Pops Corn. The Famous Chocolate Covered Caramel popcorn alone is worth a visit. And speaking of chocolate covered things, you can also try Kilwins to meet your sweet-toothed needs. This chain is loved by the locals for both its ice cream and its fudge. You can even sit and watch as the chocolatiers make treats from the traditional chocolate-covered pretzel to more unique options such as sliced oranges. 5. SHOPPING CHOICES ARE PLENTIFUL. Fort Lauderdale is home to fine shopping centers such as the Galleria at Fort Lauderdale, which is currently undergoing improvements that locals notice each week, as well as Sawgrass Mills. Locals love this outlet for its range of stores—from Bloomingdales to Super Target—as well as an IMAX theater and a Gameroom arcade. For those who enjoy the thrill of the hunt when shopping, visit the Fort Lauderdale Swap Shop. Besides the chance of finding a thrifty treasure from vendors, the swap shop also has a farmers market where people can enjoy fresh produce. Locals love getting the fresh-squeezed cane juice or some fresh coconut water. The swap shop is also host to the world’s largest drive-in theater, with 14 screens for viewers to enjoy. 4. THE EVERGLADES NATIONAL PARK. When you need to get out of the city and in touch with nature, Fort Lauderdale has you covered since theEverglades National Park is less than a two-hour drive away. This park spans 1.5 million acres and gives you plenty of ways to enjoy nature, from a short walk on the Anhinga Trail to see turtles, herons, and alligators to camping and canoeing along the 99-mile Wilderness Waterway. Guests love hitting the paths to spot both alligators and American crocodiles as well as manatees. If you are camping, be sure to bring some bug spray and plan to sleep in a tent. It can get a little buggy at night. 3. VISIT THE FIRST REEF IN LAUDERDALE-BY-THE-SEA. If you’re on the beach in Lauderdale-By-The-Sea and see some people dressed up in scuba gear, don’t be confused. Many people don’t know that there is a living coral reef within 100 yards of the shoreline, which makes beach dives a great way to get access to the nearby reef. It’s commonly known as the First Reef in the area, and is home to spiny lobster, grouper, rust-colored barrel sponges, and plenty of tropical fish and other aquatic life to enjoy. And don’t worry if you are not a licensed scuba diver, the reef can be accessible to snorkelers as well. 2. HIT FORT LAUDERDALE BEACH. With 23 miles of beaches, you’re never going to have a rough time finding ways to enjoy the sun. However, the people of Fort Lauderdale love the beach named after their city. Fort Lauderdale Beach has more than 7 miles of clean sand, public restrooms, and has lifeguards on duty 7 days a week all year-round. People love having clean water and sand to enjoy, as well as having an easier time finding parking than in nearby Miami. In addition to having shops and places to eat nearby on the boardwalk, you can enjoy amenities on the beach such as basketball courts, a workout area, and even enjoy yoga on the beach. 1. FORT LAUDERDALE IS AMERICA’S VENICE. If you’re moving to Fort Lauderdale and need real estate advice, please contact one of the local, knowledgable experts at the Howell Realty Group with Keller Williams Realty. We will help you find the home of your dreams.....and then negotiate the best price and terms for you. We work hard to sell lifestyles, and meet people who become clients for life.